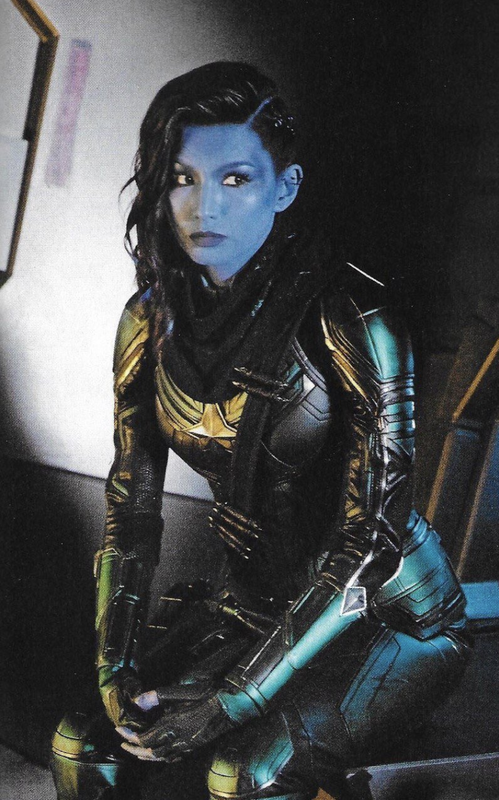 Here’s a collection of new photos from Captain Marvel that give us a better look at the noble warrior heroes that make up the Kree Starforce team. The images come from Empire. They feature Carol Danvers (Brie Larson), Minn-Erva (Gemma Chan), Bron-Char (Rune Temte), and then, of course, there’s Jude Law’s character. It’’ll be fun to see these characters in action, and I’m curious to see how some of the lesser known characters will fit into the story. The movie also stars Samuel L. Jackson as Nick Fury, Annette Bening in a mystery role, Djimon Hounsou as Korath, Clarke Gregg as Agent Coulson, Lashana Lynch as Maria Rambeau, Ben Mendelsohn as Talos, and Goose the cat. Captain Marvel is being directed by Anna Boden and Ryan Fleck (Mississippi Grind) and is set to be released on March 8th, 2019.